My little Lucy. She’s a pistol (Or perhaps just a typical two year old). But gosh she’s so dang sweet. 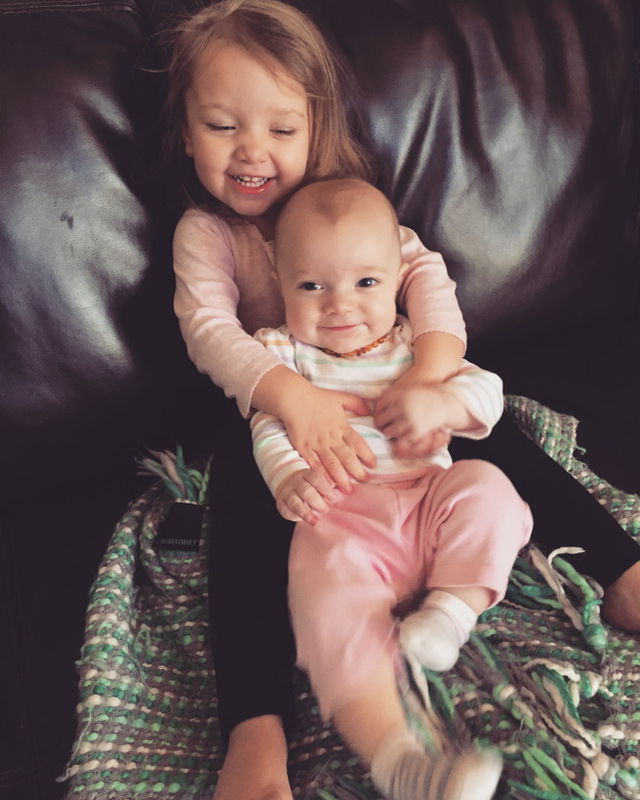 Returning to work after Kate has not been smooth and I’ve found myself crying a lot more than usual; worried about Kate, worried about Lucy, just wanting to be home with my girls, worried that I’m not a good enough mom, employee, wife, friend. These little humans we create and mold are just quite amazing. Lucy has seen me crying several times over the last few months. And it never fails – she comes right over with a hug and a kiss and a “It’s ok, Mommy. It’s ok.” I’ve found myself feeling guilty for allowing my girls see me upset. But, it’s OK. In fact, it might even be a good thing. We are trying to raise our girls to know it’s OK to feel their emotions; it’s OK to be angry, sad, frustrated or upset. And then, we try to teach them the best way to work through these emotions. It’s OK to cry. And it seems little, but her gestures like these remind me that I’m doing something right. Amidst the tantrums and the sass, she also shows compassion. And then she tells me how much she loves me and daddy and Kate (followed by a big wet toddler kiss) and my heart melts. They are teaching me just as much, if not more, than what I’m teaching them. I’m learning from them all the time and I thank God every day they chose me to be their mommy.